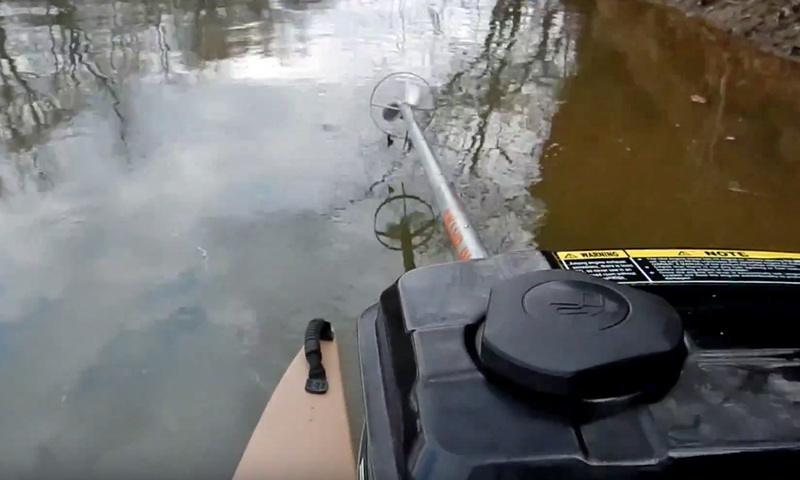 I use a kayak to go in rivers and creeks for the purpose of relic hunting for Civil War and Colonial era artifacts with a waterproof metal detector. I make videos of my adventures and publish them on my YouTube channel. I find items such as Civil War cannonballs, bullets, a colonial era shoe buckle, and sometime I get wildlife footage such as a black bear crossing the river. 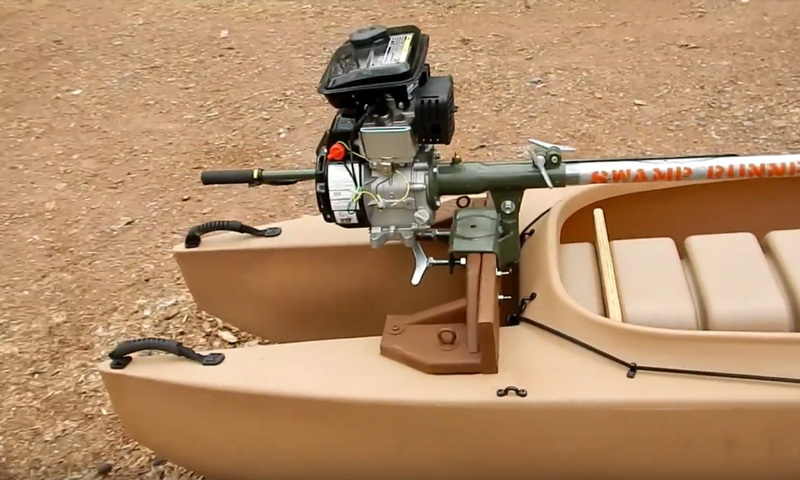 My interest in a Wavewalk was primarily so that I could use a small gasoline motor in order to get to more remote areas that are too far to reach by paddling. 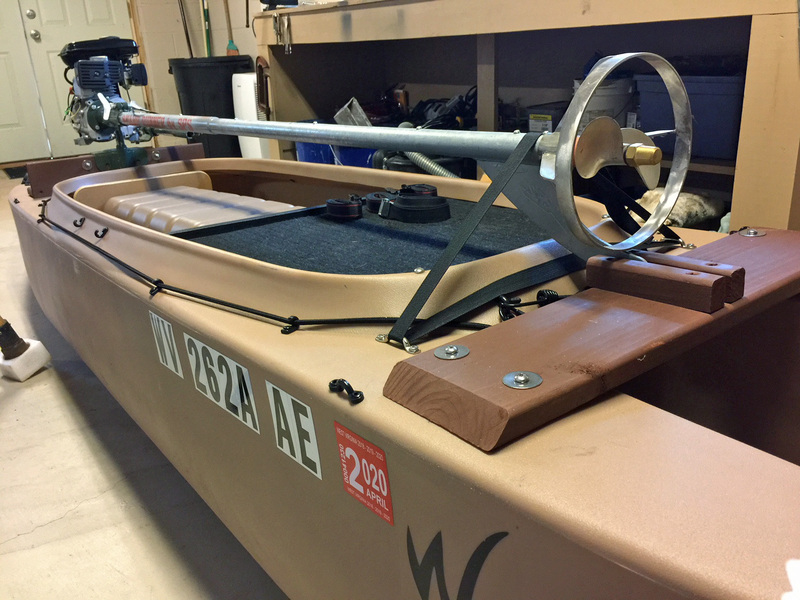 I have a “Swamp Runner Mini” long tail rig with a 3 HP motor that I thought would couple nicely with the W500. I was looking for a lower-cost alternative to a Mokai. 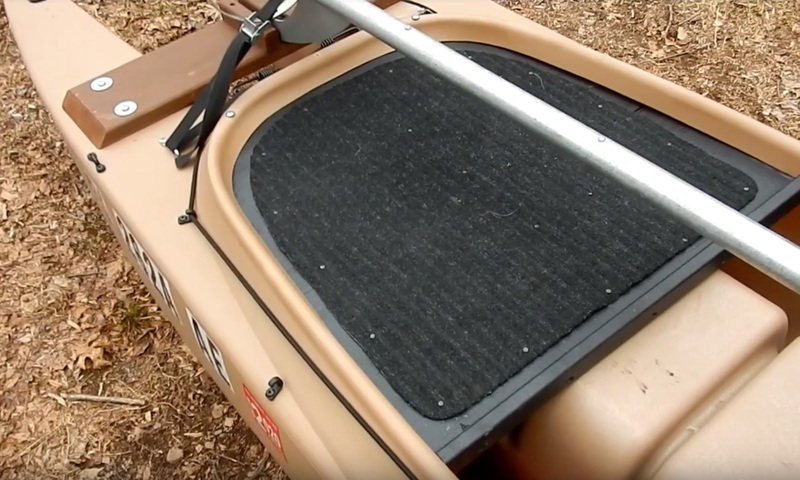 I found a sand-colored one with Joe Stauder, Wavewalk’s dealer in PA, and I drove up there to pick it up. I have everything rigged up and ready. 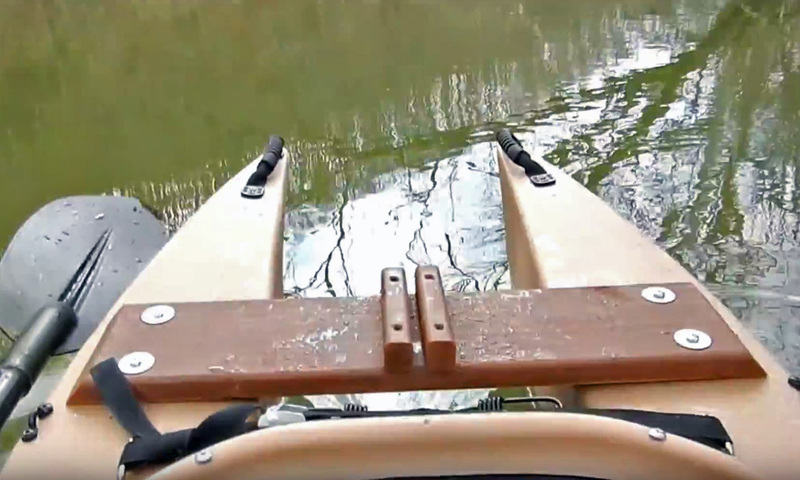 I made a short test run over the weekend and it went upstream very quickly in a fast current. The rivers here are all high right now but as soon as they come down, I’ll take it out and get some video and photos on the water. We avoid publishing a competitor’s name or brand on this website, out of courtesy to them. 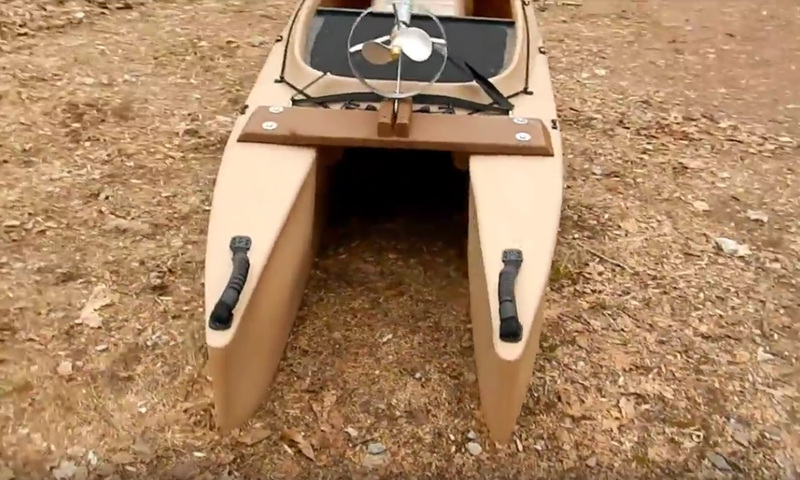 The Mokai has been around for over twenty years, and it’s still an exciting watercraft, as many online videos show. 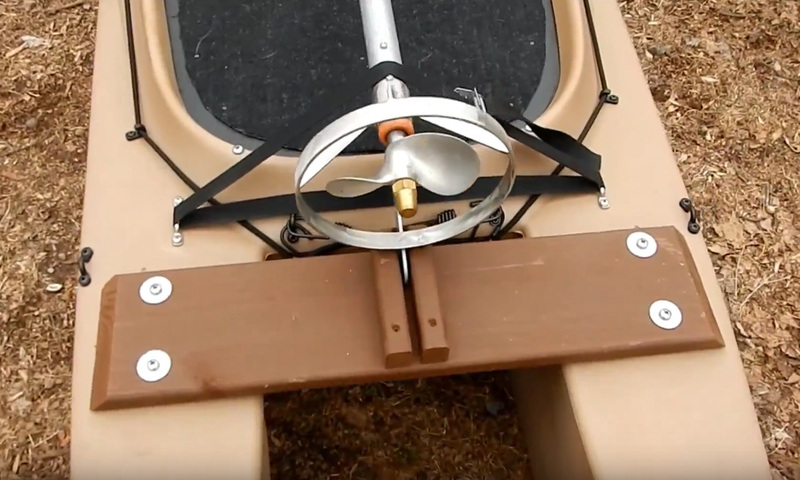 I think that the ability to paddle the W500 and pole it in shallow water and over obstacles, and the ability to both drive and paddle it standing, give it a certain practical advantage in comparison to the Mokai. 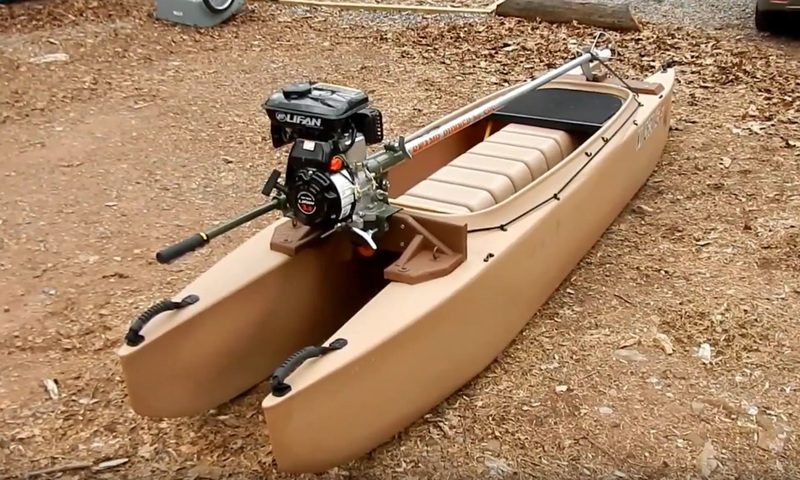 During the preliminary stage of designing the S4, we considered offering it with a jet drive, but we decided to stick to outboard motors for various practical reasons. 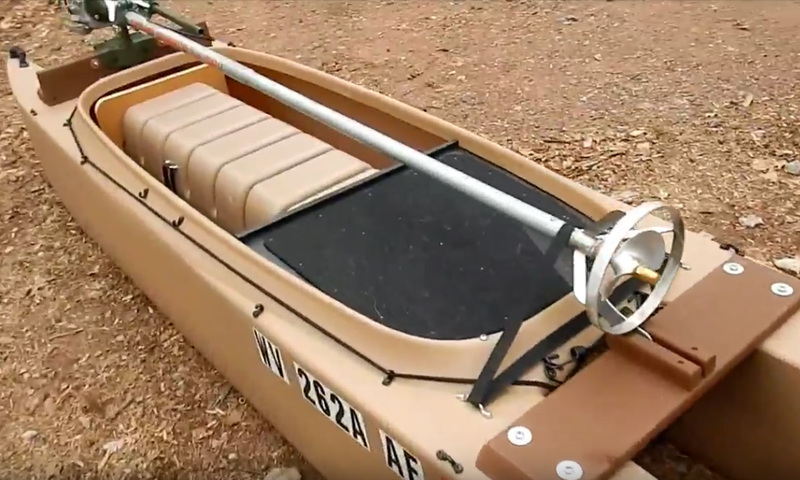 We figured that for fast, shallow rocky streams, as well as for muddy and shallow water, an S4 outfitted with a surface drive would do very well. 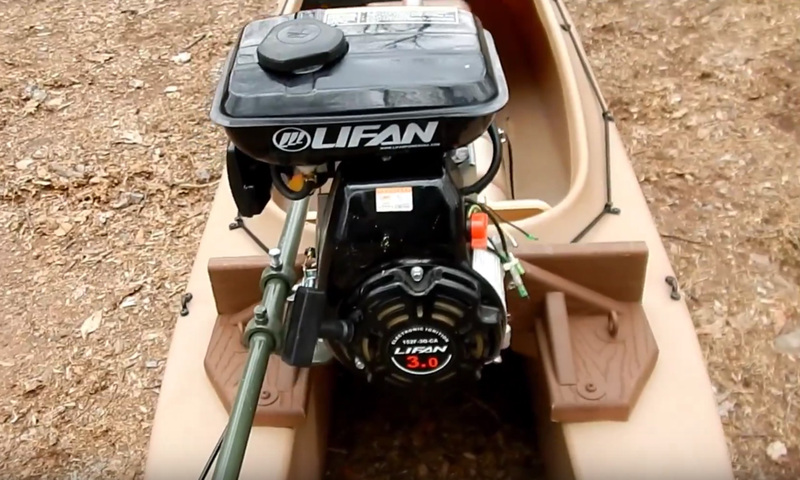 Price wise, an S4 outfitted with a $500 surface drive kit for 8 HP to 16 HP motors, and an 8 HP or even a 13 HP motor (add $200 to $400) is a combination that’s less expensive than a Mokai, and it can offer more in any dimension, from maintenance to speed, mobility, and load capacity. Good job. Looks impressive. I would like to see some more videos. Awesome video. 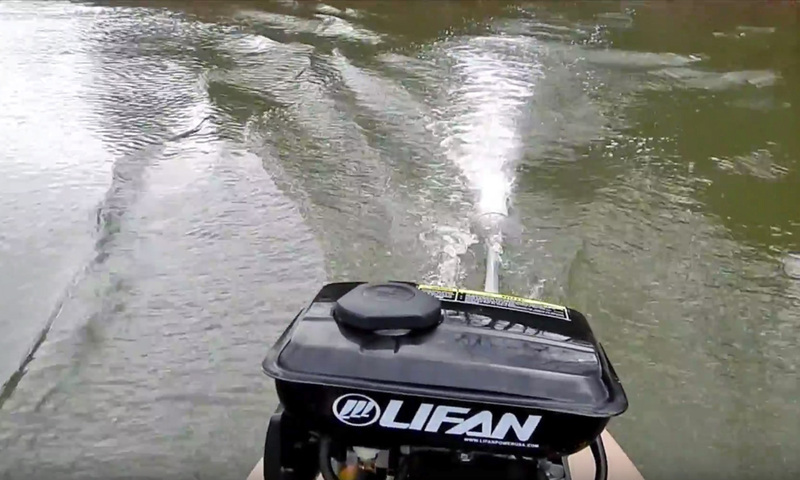 Great example of the small hp mud motor working perfectly on the wavewalk! That same set up would be great on W700 as well! 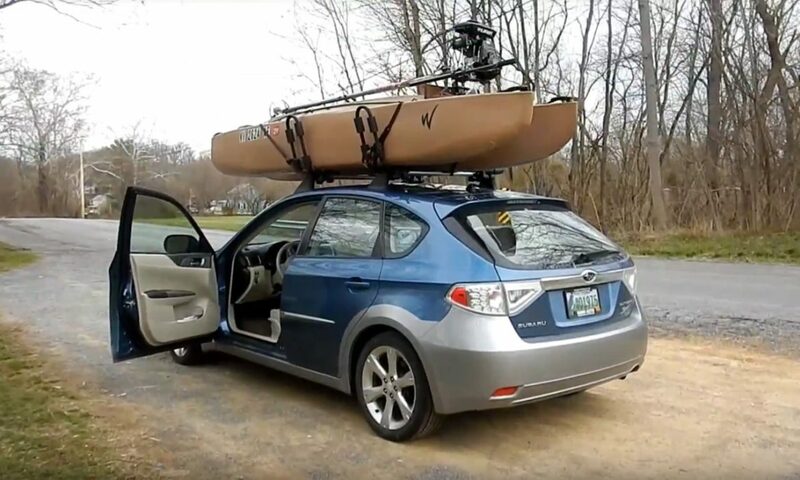 Thanks for for sharing your rig. That long tail motor really gets you moving. The shallow water will be no problem for you, that bad boy will take you through the skinniest of waters. Great video and pictures, you’ll have to do more videos and show us some of the treasures you search for. Thanks all. 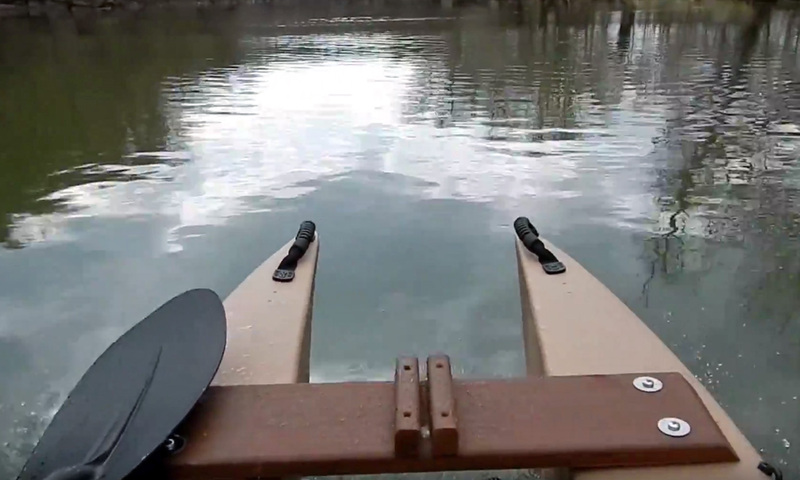 The waether has been so bad around here with rain that I really haven’t had much of a chance to get out on the rivers. The water is high everywhere but I’m hoping it will be coming down soon. I got cannonballs ta find!